Amid all of the other exciting things that happened yesterday, the fact that the Polaris Prize long list was announced was completely lost on me. However, I am back down on planet Earth. Now let the bitching begin! Somehow the atrocious Tegan & Sara record made the list, as did the disappointing Metric album, which brings the entire thing into question. 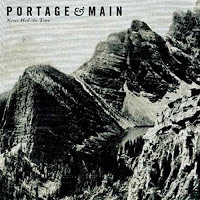 I also have to wonder how Portage & Main's excellent record got overlooked. Judging from the list, one would have to think that this may be the year that Al Tuck gets to take the over-sized novelty cheque home.